5 Hikes In Asia That Should Be On Your Bucket List | JustRunLah! Despite the challenging climbs, being rewarded by the stunning panoramic views keeps mountain-lovers coming back for more. You can’t call yourself an avid mountain lover if you haven’t conquered these hikes. 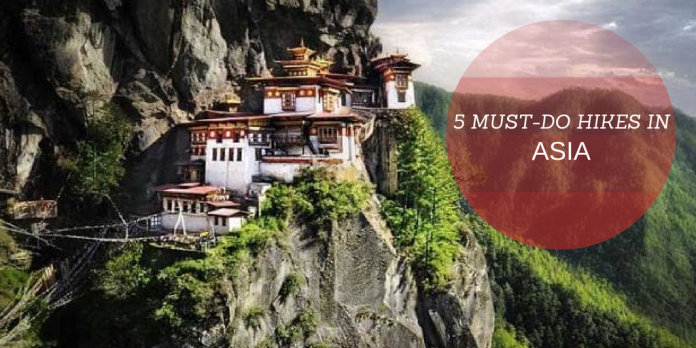 These are the 5 Hikes in Asia you must put on your bucket list! 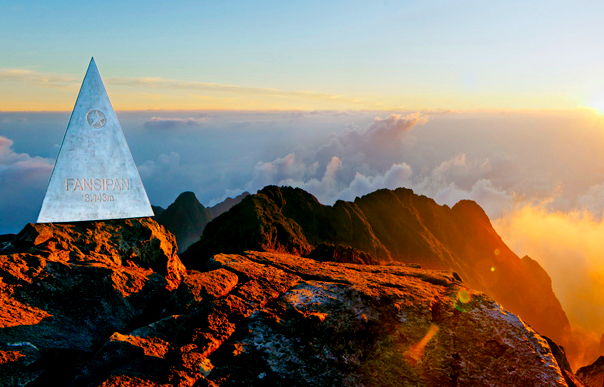 The highest mountain in Indochina should need no introduction. Standing at 3143m, it is known as the roof of Indochina. 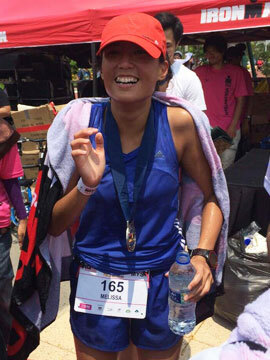 The feeling you get when you summit is exhilarating – You will be standing atop of the world, floating above clouds. If you’re lucky, the clouds will clear below us to unveil a gorgeous view of the undulating mountain ranges. You may even see the rice terraces of Sapa and villages from up above. Located in the Shanxi province, Huashan has garnered the reputation of being the world’s most dangerous trail. The most famous or infamous part of this mountain is wooden planks, haphazardly bolted to the edges of the mountain. But Huashan is not known only for this dangerous and challenging element, the views are also rewarding. It’s a whole different kind of landscape altogether. 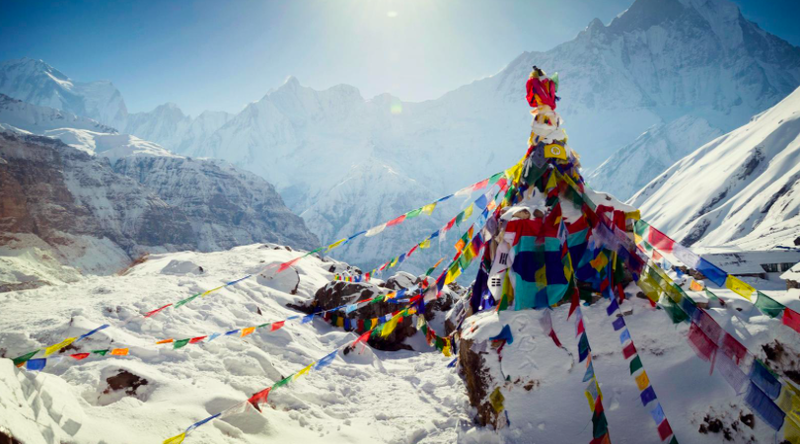 The Annapurna Base Camp circuit is one of the most popular, if not the most popular hiking circuit in the Annapurna region. ABC is set amidst the Annapurna mountain range. At 4130m, the majestic peaks of Annapurna (8190m), Annapurna South (7219 m), Machapuchhre (6993 m) and Hiunchuli (6441 m) give you a stunning view. The walk takes you through a diverse landscape and at the same time allows you to experience the rich Nepalese culture. A beauty like no-other! The hike takes approximately 14 days and starts from the city of Pokhara. Although, the 14 day Himalayan hike does not take you to the peak, but the hike to the Everest Base Camp is an adventure in itself. It takes you through some of the World’s best mountain scenery. The track gives you probably the most picturesque and dramatic views in Nepal. Bhutan is a very interesting country, and also a very surreal one. Bhutan is expensive – it has one of the highest tourism fee. But it is this restriction on tourism that renders Bhutan untouched! It is also why Bhutan is so magical. It is the only country with a carbon negative footprint. So you want true outdoors, true beauty, true untouched – Bhutan is the place to be. And, with magnificent Himalayan views to boast – it’s no wonder the Snowman trek is is one of the most beautiful treks in the region!